The subject of a whispering campaign in the hallways of Chicago Police stations for weeks, a purported police scandal burst into public view Wednesday, with both Mayor Emanuel and his hand-selected chief doing damage control. The controversy has swirled around interim Superintendent Eddie Johnson, even as he is making preparations for confirmation to take the reins of the Chicago Police Department on a permanent basis. At issue, allegations that Chief of Administration Eugene Williams, himself a onetime candidate for the top cop’s job, coached candidates for a recent lieutenant’s exam with inside information. Among the alleged beneficiaries, Johnson’s fiancée, now Lieutenant Nakia Fenner. 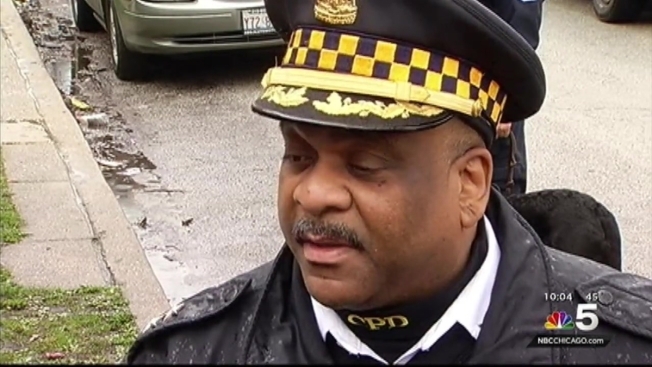 Interim Police Superintendent Eddie Johnson has yet to be confirmed as the top cop in Chicago, but he is already facing rumors of a scandal within the Chicago Police Department. NBC 5's Phil Rogers has the latest. 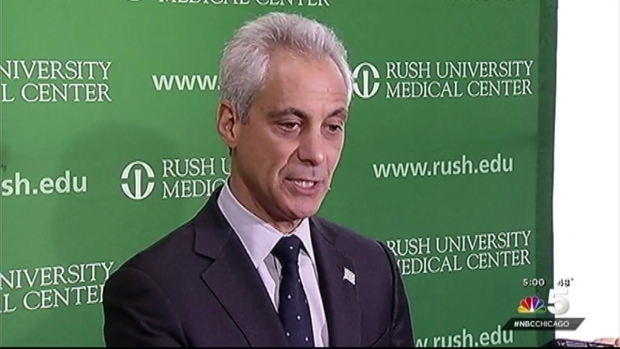 Emanuel bristled at a reporter’s suggestion that in the rush to nominate Johnson, he might have missed something which would have been detected if he would have allowed the police board to do its own due diligence. Traditionally, the Board is asked to submit three candidates to the mayor which have been thoroughly vetted. Out of 39 candidates, three were chosen. But Emanuel rejected all three, and announced Johnson as his anointed choice. “I’m not going to participate or allow a game, and I don’t think it’s a game, of either questioning his judgment, and he told you yesterday he has the courage to make the decisions he has to make,” Emanuel said. The matter is now in the hands of the City Inspector General, but the allegations were examined by the Police Board which recommended Williams as one of its three finalists. Plenty of smoke, said one source, but very possibly very little fire. It should be noted that grumbling about departmental exam results has long been a virtual parlor game in Chicago Police circles. Still, plenty of candidates flunked the exam in question. Some of them will almost certainly challenge the results in court, arguing the fix was in and demanding details on who might have benefitted.